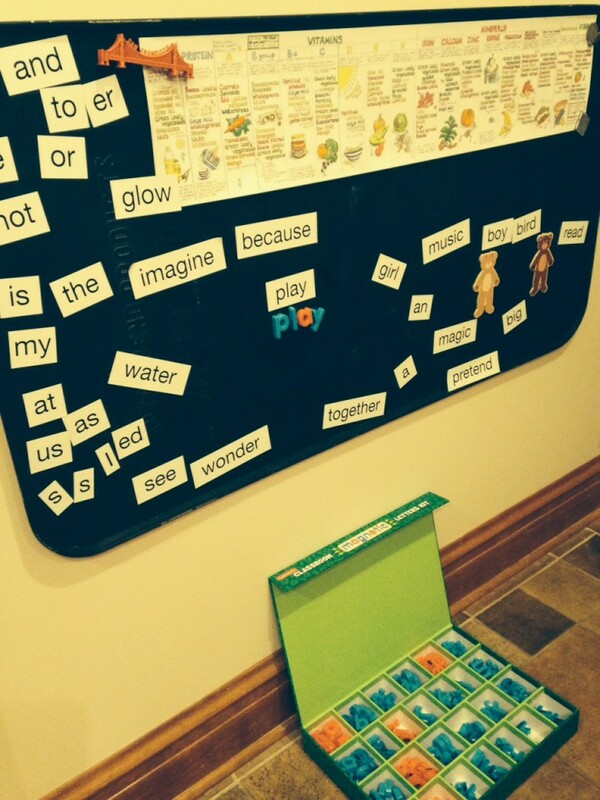 Fun and Funky Ideas that Encourage Literacy in Your Home | seedLinG! 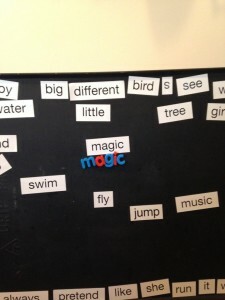 I started by randomly choosing 5 or 6 words from the magnetic poetry tin that I thought would pique his interest and put them on the board. 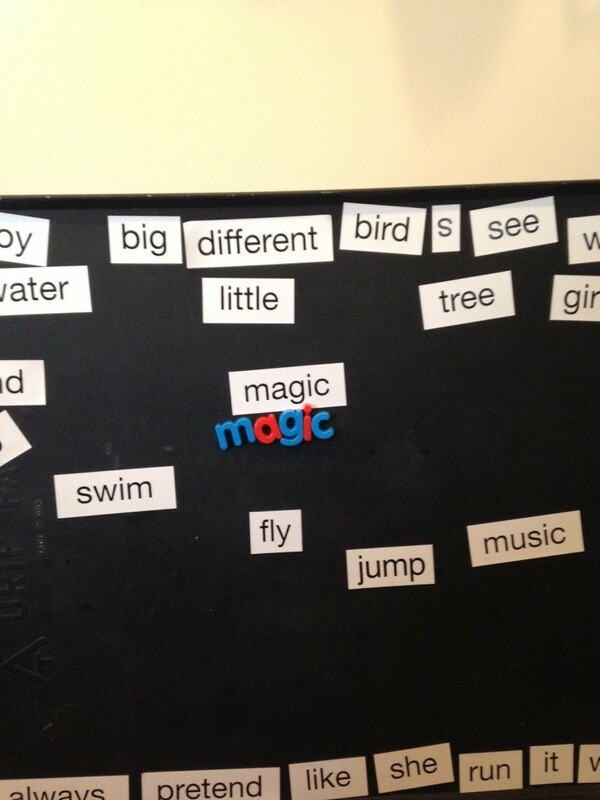 From that point, he began asking all kinds of questions about the words, and we have started making sentences together. Lots of great conversations have started this way, and his interest in books and reading has exploded–this is a kid who almost never wanted to sit next to me and read. Now, it has become a favorite activity. 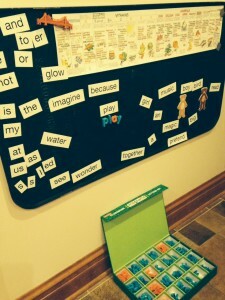 Also, after many failed attempts to get him to write, I discovered a website called www.1plus1plus1equals1.com that has really awesome printable activity packs. There is a “tot pack” and a “kindergarten pack” and they come in different themes. The theme we chose to laminate, and use (w/dry erase pen) on a daily basis is Octonauts! There are other tv show, and non-tv show themes as well. We bought our hot/cold laminator at Costco for $20 and it came with 100 thermal sheets in various sizes. It’s small and easy to store. Another writing tool that intrigues him is a stencil board of capital letters that includes the arrow instruction for each letter. It is made by School Rite and is also available in lower case, cursive and numbers. (www.school-rite.com) We use this with laminated surfaces and dry erase pen, too.